I am become Death, the shatterer of Worlds. 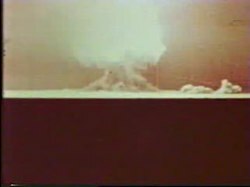 ^ Richard Rhodes, The Making of the Atomic Bomb (New York: Simon and Shuster, 1986). Quotes regarding the naming of the test from pp. 571-572. ^ Brian Greene (2003), NOVA: The Elegant Universe: Einstein's Dream. Regarding residual radiation. 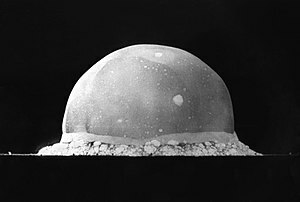 リチャード・P・ファインマン, "Los Alamos from Below"; Surely, You're Joking, Mr. Feynman. 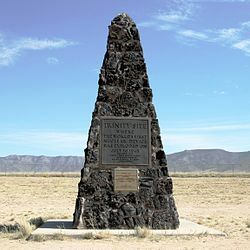 "My Radioactive Vacation", report of a visit to the Trinity site, with pictures comparing its past with its present state.